Home » Bottles: 2001 - Newer » Item Details: Port Older Viscosity - 2008, 2009, 2010 - 3 bottle vertical! 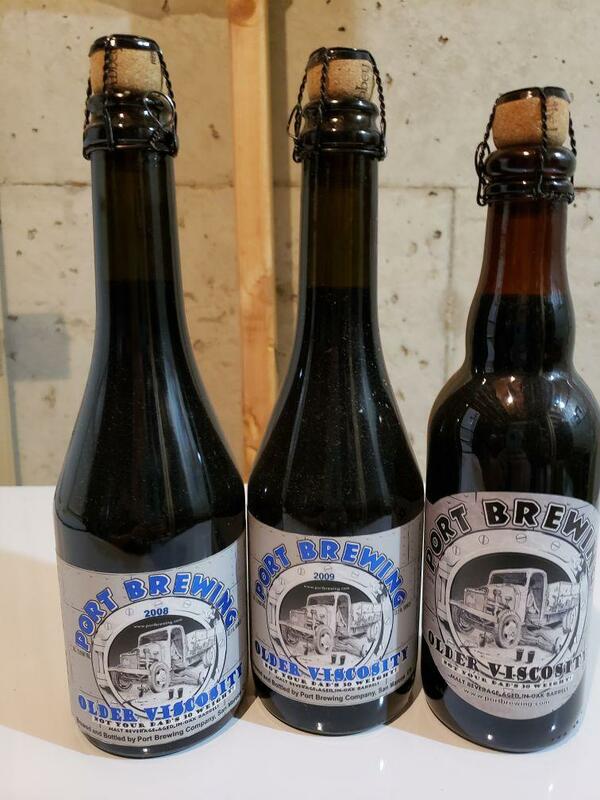 Port Older Viscosity - 2008, 2009, 2010 - 3 bottle vertical! Here is a 3 bottle vertical of Port Older Viscosity, 2008, 2009 and 2010 - all 375ml bottles, cork and caged. These have been cellar stored since purchase. Payment via PayPal is preferred. Shipping to the lower 48 states with tracking. Please inquire for shipping costs elsewhere. Thanks very much, let me know if you have any other questions.